I get this question a lot. Or I hear women say that they’re dating themselves and learning how to be happy being alone. No, no no! That’s not what dating yourself is meant for. 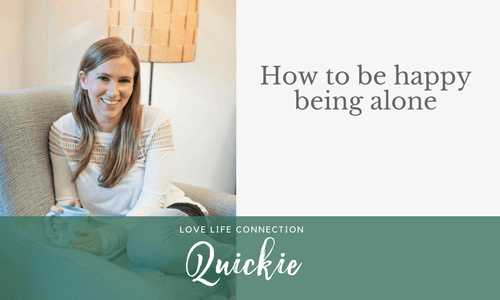 Listen into this episode to hear what learning to be happy alone is really all about, and how to deal with the loneliness that comes from being alone.